We’re kicking off the weekend with the VIP Party of the year! Lana Veenker, local casting director for Twilight, and some of the local cast from the Twilight movie will be conducting a panel discussion at our VIP party. They will be answering your questions about what it was like to work on the first film in the Twilight saga, how it has affected their lives, what young people who want to break into show business need to do and more. Submit your questions online and enter to win time with Lana and the cast. 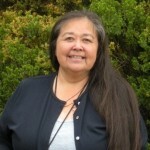 Special Guest Anita Wheeler is a Traditional Quileute story teller. She has been telling her grandfathers’ stories for many years, in this way she keeps her family’s Quileute traditions alive. Anita will be sharing her stories with us during a special, private session at the New Moon VIP Party. Read more about Anita here. Just bought tickets! This looks like it will be a really fun event. Don’t forget to visit Jilly’s in Olde Town down the street from the the theater!! The VIP Party was a blast! My friend and I were the first ones in line! 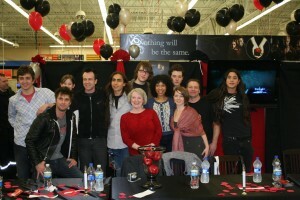 We got to meet with some of the local cast and eat some Bella B-Day cake! (among other awesome things) Anita Wheeler was great. I loved her stories. Thanks to everyone who helped make this event such a success! !